As much as we enjoy a fire in the winter, we don't look forward the constant, tedious cleanup. A stove ash vacuum will solve this problem! No longer will you have to dread the cleanup. 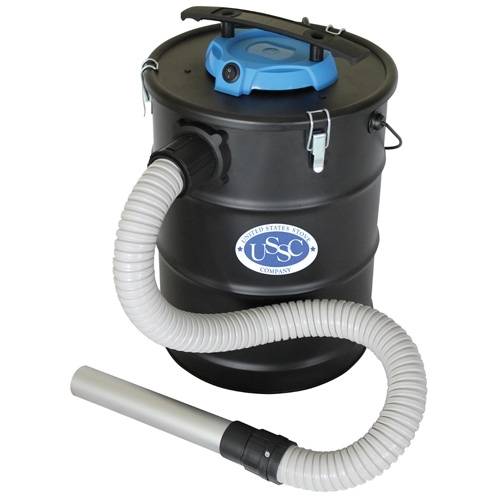 Safe for warm and cold ashes, this six-gallon capacity unit has a two-horsepower peak motor and an 8 inch power cord. The 3.24 foot suction hose with 8 inch aluminum wand will take care of ash cleanup in no time. What is the hottest ash temperature the vacuum can safely hold? 100 degrees Fahrenheit is the hottest temperature. Can I use this product to clean pellet stoves? Do I need an attachment? Is this product made in the US? 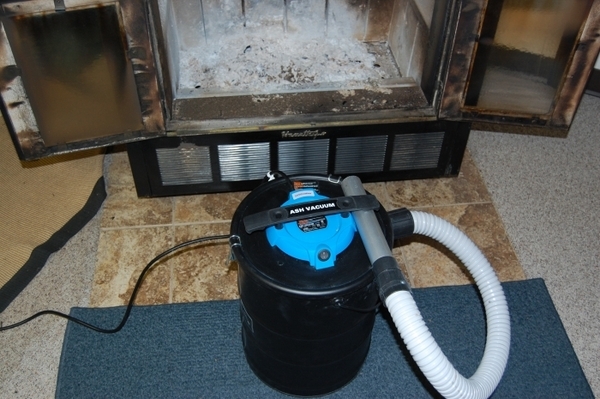 Yes, this vacuum can be used to clean a pellet stove, no attachment is necessary. This vacuum is manufactured by US Stove at their production facility in South Pittsburgh, TN. Could you please tell me what the noise level of this vacuum is? While the manufacturer does not provide a decibel level or noise measurement of any kind for this vacuum, they do describe it simply as "loud." This vacuum is manufactured by US Stove at their production facility in South Pittsburgh, TN. What is the diameter of the intake hose? How many horse power? 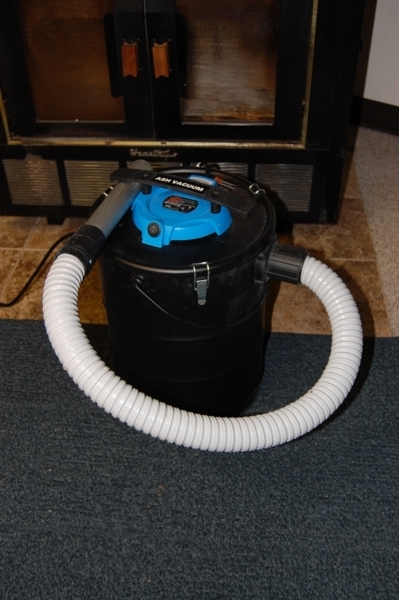 The intake hose on this ash vacuum has a 1.5" opening diameter, and it features a two-horsepower motor. This little vacuum make cleanup a breeze. One of the lid clamps came off immediately. ConsIntake wand too small for chunks of charcoal. Plastic hose fittings melt if charcoal too hot. I am so thrilled that we decided to purchase this item. After living in our new home for 6 yrs now and having to manually clean out the ashes, we would always wind up with ash dust no matter how careful we were! I finally decided to search for something that would "somewhat" remedy this situation when I came across this ash vacuum. We took the chance and ordered it and I am truly amazed how well this vacuum does the job it is suppose to do with NO dust flying around. It is easy to empty to use for the next time! Thank you for such a great product and making my "retired" life more pleasurable without having to clean ash dust constantly during the winter season. I highly recommend this product and also feel it was very affordable and worth it's value. ProsThe ease of usage and the simplicity to disassemble to empty it's container! I especially like how very light this vacuum is, not bulky and heavy and will be very easy to store at the end of the season! ConsI really have not found anything I dislike about this product. Great vac! Lots of power, and cleans my pellet stove up quickly and easily!